Dr. Thomas P. Davis is Professor of Medical Pharmacology in the College of Medicine and Professor of Pharmacology and Toxicology in the College of Pharmacy , at the University of Arizona. He received his bachelor’s degree in biology from Loyola University (1973), his M.Sc. in physiology from the University of Nevada (1975) and his Ph.D. in physiology/biochemistry from the University of Missouri (1978). He carried out postdoctoral training at Abbott Pharmaceutical Company as a development chemist in the therapy monitoring venture group (TDx) before joining the UA faculty in 1980. Dr. Davis’ research interests include studies of the molecular, biochemical and pathophysiological mechanisms associated with maintenance and disruption of the blood-brain barrier / endothelial cell tight junction and neurovascular unit. He is an expert in the delivery of drugs across the blood-brain barrier having been continuously funded by the N.I.H. since 1981. He has published more than 230 peer-reviewed research articles, has served as an invited member on four N.I.H., brain disorders clinical neurosciences (BDCN) study sections and several N.S.F. and V.A. study sections. Dr. Davis also directed the manufacture of a new stroke drug , 3K3A-APC, while continuing to serve on the Scientific Advisory Board of ZZ-Biotech LLC (2006-present). 3K3A-APC recently completed a successful Phase 2 clinical trial (Rhapsody Trial) in 2018. 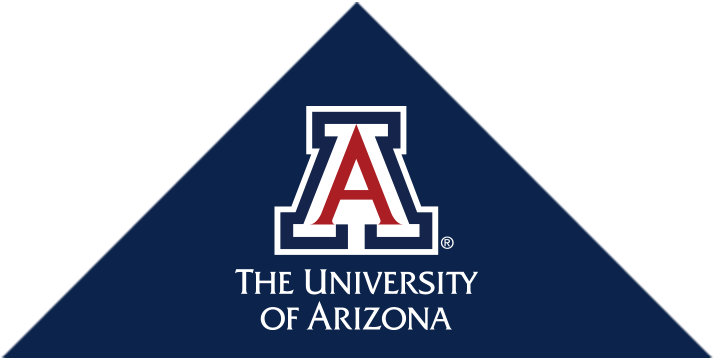 Dr. Davis is the founding director of the University of Arizona Program in Research Integrity Education to answer the mandate from the U.S. Congress and U.S. Public Health Service to educate all University faculty, staff and students in the responsible conduct of research. He was awarded with a special citation from the Chair of the Faculty for his extraordinary and expert service to the General Faculty and University of Arizona in 2001 and a special citation from Loyola-Marymount University College of Science and Engineering as a member of the Alumni Wall of Fame in 2003, as well as The Founders Day Award from The University of Arizona College of Medicine in 2011. Our laboratory continues its long-term biodistribution / neuropathology research program, continuously funded by N.I.H. since 1981, by studying the mechanisms involved in delivering drugs across the blood-brain barrier (BBB) to the central nervous system (CNS) in neuropathological disease states. We have recently discovered specific drug transporters affected by pathologies that can be targeted to enhance drug delivery. We are also actively studying the effect of neuropathologies such as hypoxia, migraine and acute versus chronic pain on endothelial cell tight junction permeability and P-glycoprotein transporter trafficking at the BBB. We have recently shown that short-term hypoxia leads to significant alterations in permeability that can be reversed by specific calcium channel antagonists. This work has significant consequences to the study of stroke. Additionally, we have shown that peripheral inflammatory pain has significant effects on BBB transporter trafficking leading to variations in the delivery of analgesics such as codeine and morphine, to the CNS. We are now in the exciting position of coupling our program in analgesic drug biodistribution with our program in neuropathology at the neurovascular unit.